The question of how cells communicate with their environment has long fascinated scientists. Typically, cells receive information from the outside through a group of proteins known as membrane receptors. For many years, these receptors have been the focus of research for Professor Jeffrey Becker, a microbiologist based at the University of Tennessee. His aim is not only to understand the secrets behind this type of communication, but also to develop new and better methods to study the mechanisms involved in this process. Being able to understand the outside world is one of the most fundamental requirements for every cell. The most common way they do this is through special proteins – called receptors – placed in the membrane, which receive the outside signal and pass the message on to the appropriate channels inside the cell. Through these interactions between receptor and signal, the cell can respond and adapt to different triggers, including light, hormones, and many others; but crucially without the need to let foreign compounds enter inside. The fact that there are almost 1,000 different forms of the largest family of receptors (G protein-coupled receptors) in human cells is testament to importance of cell communication. Although they may perform very different functions they share a very similar structure: one end stuck out of the cell followed by seven loops in the membrane itself and finally the other end pointing inside the cell. They are present in a variety of tissues and organs, and regulate numerous physiological mechanisms, including vision, smell and taste, the heart, nervous system, and even reproduction. Not surprisingly then, malfunction in human cell receptor activity is linked with many diseases, including obesity, blindness, cancer, schizophrenia, Alzheimer’s disease, hypertension, and diabetes. They are already an attractive target for drug therapy, with an estimated 30–50% of current medications targeting these receptors, but a better understanding of their contributions to various diseases could go a long way to treat many other conditions. The problem is that the mechanisms regulating the activity of these receptors are still not fully understood, mostly due to limitations in the methods used. Studying fast interactions involving minute amounts of receptor and signal is an incredibly difficult task. It has been the prime objective of Professor Jeffrey Becker, at the University of Tennessee, to develop more accurate ways to measure and study these mechanisms, which will in turn allow for a deeper understanding of the interactions between receptors and signals. To really grasp how these receptors work during signalling, researchers need to track their interactions with incoming messages. There has been much progress in the past few decades about the structure of receptors, but methods to follow interactions in live cells as they happen in real-time are very tricky to develop. Professor Becker and his team have used a receptor from yeast as a model in all their research. Given the well-characterised genome and availability of strong genetic tools, yeast provides an ideal system for this type of research. Although yeast and mammals are very different organisms, these receptors work in very much the same way. 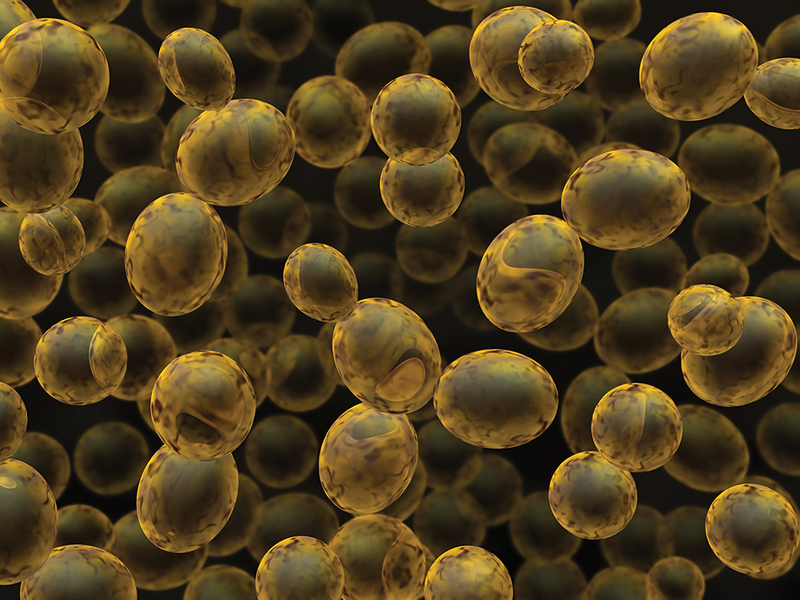 Researchers have been able to use mammalian receptors in yeast and vice-versa and, irrespective of combination, these compounds are able to maintain normal functions. This means that any research progress achieved with yeast will most likely also apply to mammalian cells. Using a multitude of approaches over the course of several years, Professor Becker and his team have made many important discoveries regarding the mechanisms behind these receptors. Examples include the identification of spots that interact with incoming signals, areas involved in transmitting the signal to inside the cell, and a region curbing excessive receptor activity. The researchers also identified several changes in the shape of the receptor as it receives a signal, including how an interaction spot becomes available to an incoming message. These findings clearly suggest that receptors heavily involved in different functions, from receiving external messages to fine tuning the signalling process. While the techniques used so far to study receptor signalling have allowed considerable progress, the methods typically used have some disadvantages. 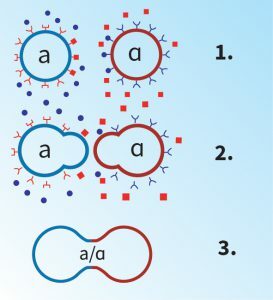 A major problem is that proteins interacting with the receptor may be misidentified according to the major technique of antibody co-precipitation used. Another problematic technique to identify interacting proteins involving the use of chemical cross-linking may also lead to artefacts resulting from the inability to control cross-linking during the signalling process. In an attempt to solve these issues, Professor Becker and his team are now developing a faster and potentially more reliable way to measure such receptor/signal interactions. This has been an ongoing endeavour – their work on a rapid laser-activated approach to measure signalling in live cells started back in 2015. At that stage, the team had just started using a method pioneered elsewhere for yeast which relies on the ability of cells to use all amino acids available to them, including amino acids not found naturally. Crucially, these unnatural amino acids can be synthesised to contain a variety of tags to facilitate detection, such as fluorescent areas or highly reactive groups. After a few adjustments to the original method developed by Professor Peter Schulz at the Scripps Institute, Professor Becker and his team were the first to demonstrate that unnatural amino acids can be incorporated into these receptors in the yeast cell and still retain function. ‘To our knowledge, this is the ﬁrst report of the expression in the native host cell of a receptor containing [an unnatural] amino acid’ wrote Professor Becker in 2008. ‘It shows that receptors containing unnatural amino acids can be used to capture ligand and study changes in domain-domain interactions during receptor activation’. Ten years on, Professor Becker and his team are still continuing to work on ways to extend this method. Their current mission is to upgrade the old technique by using UV-laser short pulses to detect fast interactions. To test this approach, Professor Becker and his team used an unnatural amino acid and a protein derived from blood as experimental guinea-pigs in place of real signals and receptors. The researchers saw that a ligand containing the unnatural amino acid working as a signal was hydrophobic (meaning it doesn’t like water) and so could only bind to similarly hydrophobic areas in the blood-derived protein. At this stage there is no reason to suggest that interactions between real signals and receptors will be any different, which means that Professor Becker’s new method will be equally valid in testing cell signalling mechanisms. Given the encouraging results of this preliminary work, Professor Becker’s next goal is to apply this technique to their yeast model. The team hopes this method will provide more accurate snapshots of the interactions between different signals and the receptor at specific times before, during, and after the signalling mechanism. Crucially, this method offers what others cannot: cross-linking reactions on a time scale of seconds rather than minutes. This is essential to find transient protein interactions in living cells, and it is hoped that the short time period for the laser pulses will limit any artefactual trapping of proteins which are not relevant. 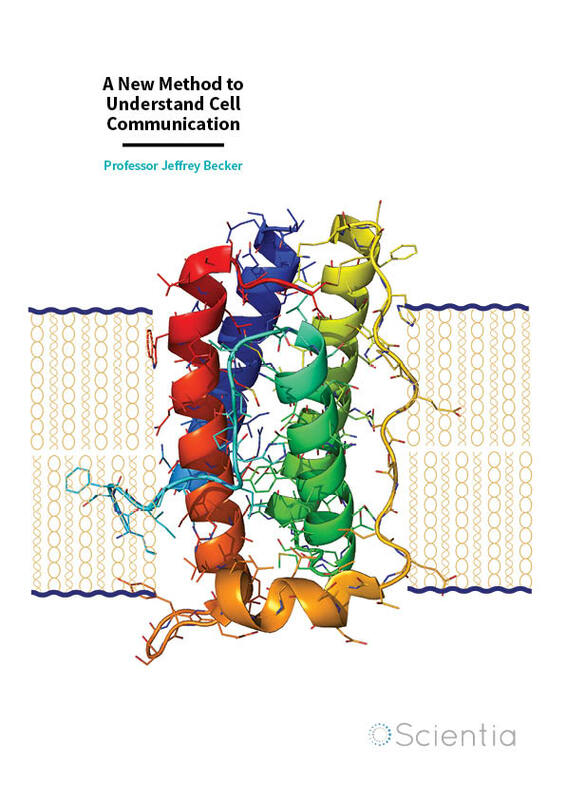 Professor Becker’s overarching aim is to develop a methodology to measure signals associated with the receptor both during the inactive state (that is, while not receiving a message) and the active state (receiving a message), which can be applied not only to study yeast receptors, but also more generally to all species – including humans. This innovative work will, for the first time, make it possible to see if and how a receptor changes during the few seconds of the signalling process and detect where and when each signal interacts with the receptor. This will greatly improve our understanding of how signalling is regulated. It is not unreasonable to suggest that this technique could be successfully applied to important receptors in mammalian cells, and that the knowledge of where signals interact could provide new targets for drug design leading to novel and effective therapies. Critically, the long-term plan is to adapt the method to human cells and conduct vital studies to better understand how these receptors work. 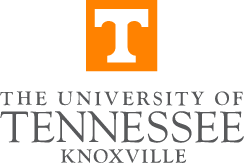 After obtaining his doctorate at the University of Cincinnati in 1970 and then completing postdoctoral research for two years, Professor Jeffrey Becker moved to the Department of Microbiology at the University of Tennessee. Currently, he holds the position of Chancellor’s Professor Emeritus at the same university and his main area of research is the structure and function of peptides and their receptors, membrane transport, and medical mycology. 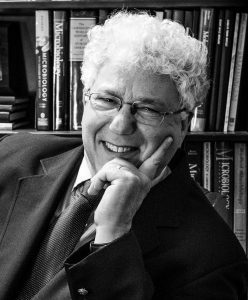 Throughout his career, Professor Becker has received multiple awards and academic honours, been a highly-sought consultant and panellist, and has been a fellow of the American Association for the Advancement of Sciences since 2008. Professor Becker has received continuous funding from National Institutes of Health for over 40 years and has published over 250 peer-reviewed papers. In addition to teaching, Professor Becker has supervised 200 undergraduate students, 35 doctoral students, and 8 postdoctoral fellows to date, highlighting his commitment to research and the development of scientists in this field. M Hauser, C Qian, ST King, S Kauffman, F Naider, RL Hettich, JM Becker, Identification of peptide-binding sites within BSA using rapid, laser-induced covalent cross-linking combined with high-performance mass spectrometry, Journal of Molecular Recognition, 2017, 31, e2680. MS Uddin, F Naider, JM Becker, Dynamic roles for the N-terminus of the yeast G protein-coupled receptor Ste2p, Biomembranes, 2017, 1859, 2058–2067. MS Uddin, M Hauser, F Naider, J Becker, The N-terminus of the yeast G protein-coupled receptor Ste2p plays critical roles in surface expression, signalling and negative regulation, Biochimica et Biophysica Acta, 2016, 1858, 715–724. 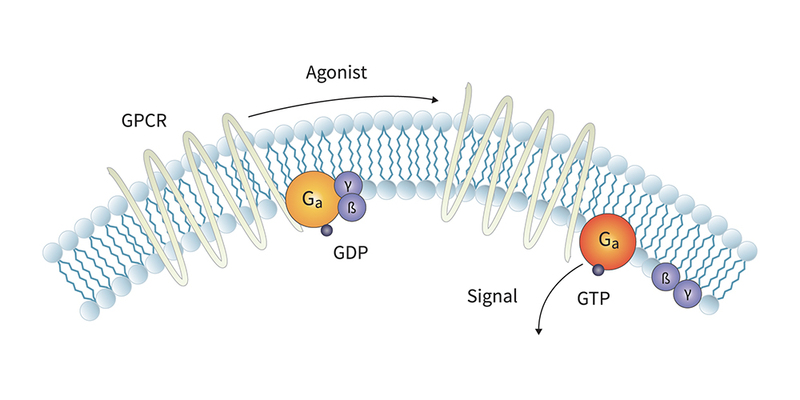 GK Umanah, LY Huang, JM Maccarone, F Naider, JM Becker, Changes in conformation at the cytoplasmic ends of the fifth and sixth transmembrane helices of a yeast G protein-coupled receptor in response to ligand binding, Biochemistry, 2011, 50, 6841–6854. GK Umanah, L Huang, FX Ding, B Arshava, AR Farley, AJ Link, F Naider, JM Becker, Identification of residue-to-residue contact between a peptide ligand and its G protein-coupled receptor using periodate-mediated dihydroxyphanylalanine cross-linking and mass spectrometry, Journal of Biological Chemistry, 2010, 285, 39425–39436. LY Huang, G Umanah, M Hauser, Son C, B Arshava, F Naider, JM Becker, Unnatural amino acid replacement in a yeast G protein-coupled receptor in its native environment, Biochemistry, 2008, 47, 5638–5648.